When signing into the user web console make sure you click to select the user tab. Sign in using the username and password you use for the Backup Intelligence client. Once signed in you will first see your accounts overview. 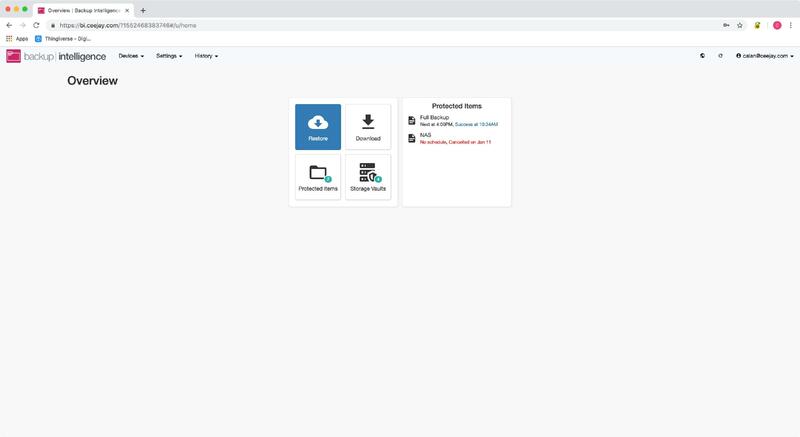 This is where you can see everything from your protected items, how much storage you have used and the number of devices you have on your account. 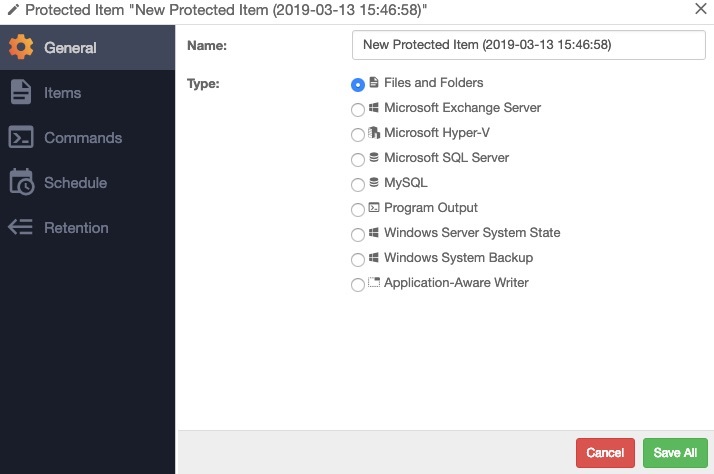 You can add new protected items by clicking the settings dropdown from the top menu and selecting the protected items option. You should now see this page. To add a newly protected item click on the blue “Add protected item” button at the top right. You will then need to select which device you want the new protected item to be applied to. The protected item's settings window will now show. First confirm the type of files you want to back up in the general tab. Next choose your items by clicking the items tab on the left and then clicking the green “+” at the top right of the window. 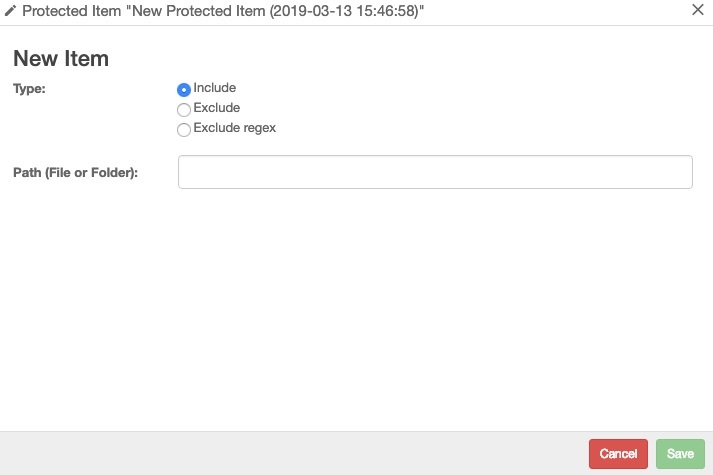 You can then select whether you want to include or exclude this particular File/Folder path to the new protected item. Once entered, click save and it will be listed on the items page. You should then add a schedule for your protected item to run automatically. Click the Schedule tab on the left as before and the plus button at the top right. 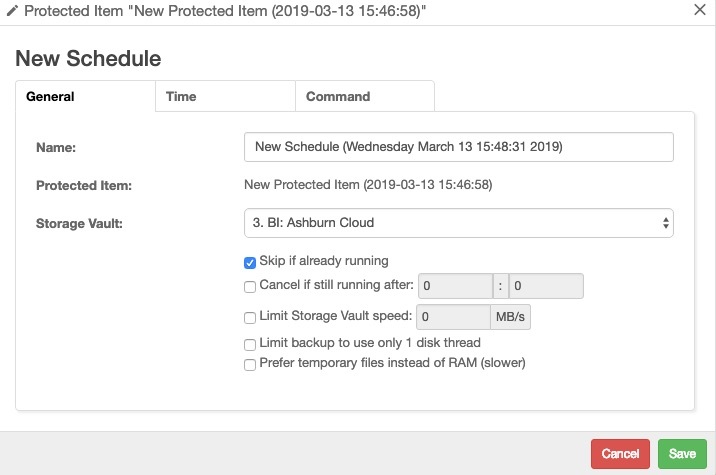 A window will show starting with the General tab, asking for a name for your schedule and which storage vault you wish to back up to. Once chosen, click the Time tab and the green plus button to add your schedule with the following options. 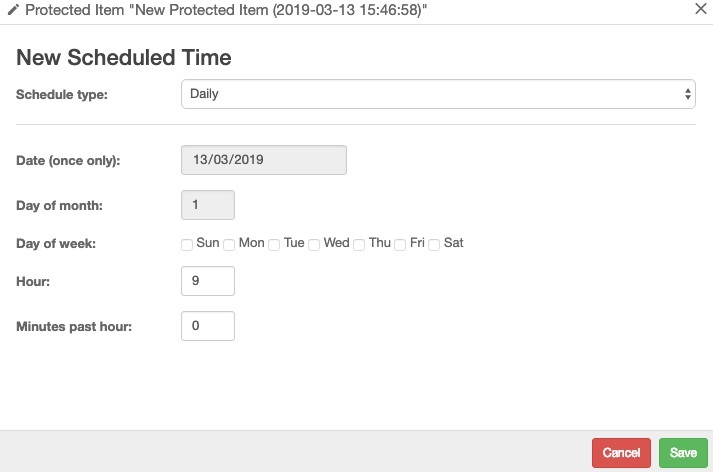 Once your schedule is set, click Save to have it listed, then click Save again to return to the protected items window. Finally, verify that your retention policy is correct from the retention tab on the left, then click Save All to save all your settings for your new protected item, which should now be listed from the main protected items page. 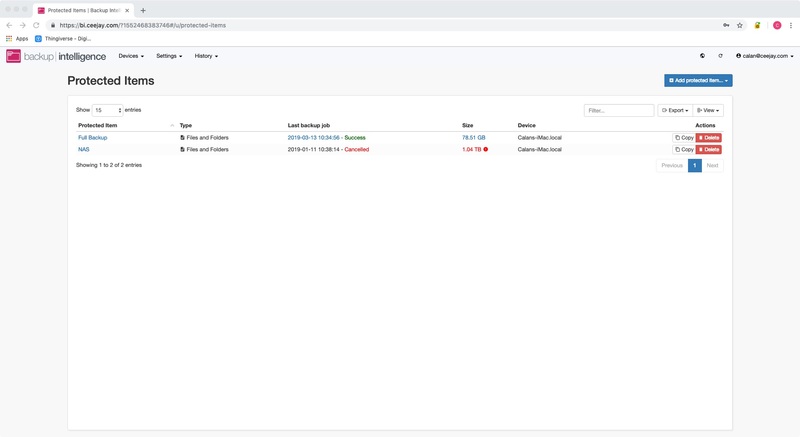 You can also check the progress of your backups by clicking the History dropdown from the top menu and selecting Job History. You will then see all of your historical backups listed. From here you can view the logs of any backup by clicking on its blue log button in the Actions column. 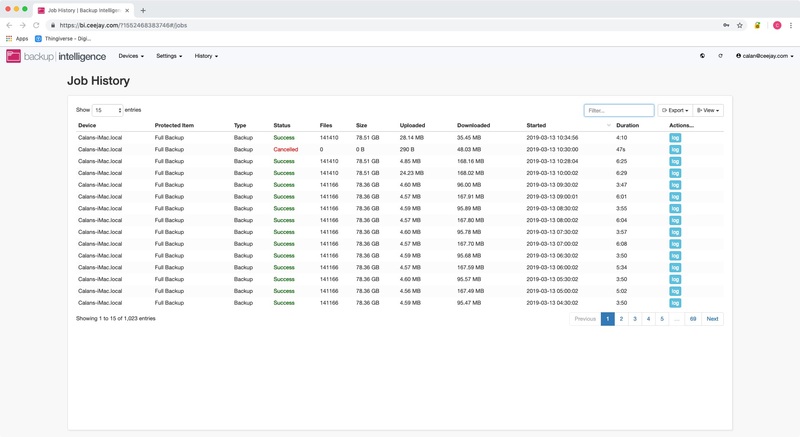 You can also see the size of each backup, how much data the backup uploaded when each backup started and the duration of each backup.